What do you really want from God? I’m sure that your prayer requests have been reasonable requests, like asking for a good job, better health, kinder relationships, or even for the healing of a loved one. So, if God didn’t give you what you were asking for, I’m sure you have wondered why. I think the following story illustrates what our prayers may be missing. 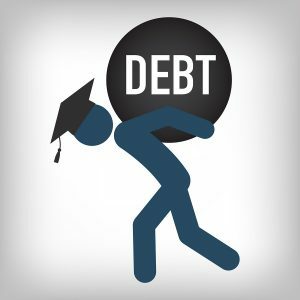 Once upon a time, Larry, a hard-working college freshman, was discouraged because he was facing a large school debt upon graduation. In fact, he was also struggling to meet the remaining monthly tuition payments. One day he received an official-looking letter in the mail from a lawyer informing him that his uncle, who had recently passed away, remembered him in his will and left him a little over one million dollars. It would be about six months before all the legal work could be completed and he would receive the inheritance, but that promised money instantly changed his entire outlook on life. He was no longer worried about his student debt. His friends were happy for him, and of course, he discovered that he had many “friends” he didn’t even know were his friends. His fiancée, Amanda, got excited, too. She no longer wanted to wait for his graduation in order to get married, and they started planning an elaborate wedding for that summer. The future looked amazing. Then the unexpected happened. He got another official-looking letter. This time it was from the Attorney General’s office. The letter explained that the promised inheritance was fraudulent. His uncle who passed away didn’t even have a will, let alone any money. What a blow! Larry was devastated, but that wasn’t the worst of it. Amanda broke off the engagement and started dating other young men. Why did she do that? I think you will agree that Larry’s financial problems revealed Amanda’s heart. She was primarily excited about Larry’s money. It became obvious that she didn’t treasure Larry himself. Just being with him wasn’t enough. I think Amanda pictures a problem with a lot of our prayers. We tend to value what God can give us more than we value a closeness with Him, the One who made us and also died to rescue us from our sin. To use the Bible’s words, we have “… worshiped and served the creature [people or things] rather than the Creator, who is blessed forever. Amen” (Romans 1:25). Think about how offensive it is to ask God for help with our problems while having no interest in getting the know Him, the One we are talking to. Jesus reminds us that our highest goal should be to “love the Lord your God with all your heart, and with all your soul, and with all your mind, and with all your strength” (Mark 12:30). The eternal God of the universe has proven that He loves us. “God demonstrates His own love toward us, in that while we were yet sinners, Christ died for us” (Romans 5:8, also see John 3:16). Here is the big question. Do we love God or do we just want what we think He can give us? If we aren’t pursuing a closer relationship with the Lord, we are closing our eyes to our biggest need. King David, in the midst of some great suffering, pictured his greatest need this way: “As the deer pants for the water brooks, so my soul pants for You, O God. My soul thirsts for God, for the living God; When shall I come and appear before God?” (Psalm 42:1–2). David longed to experience more of God’s personal presence, not just the things He could give David. It’s not wrong to ask God for help, or comfort, or strength, or even to meet our needs. Those things, though, will never replace a love relationship with Him. Our hearts have been hard-wired to find hope, peace, and contentment in the Creator, not in what He created. That’s why just getting the things we crave will never satisfy us. We need many things in this world, but our greatest need is for God Himself. Our physical needs are temporary, but a real friendship with God lasts forever. That’s why King David prayed, “…You are great, O Lord God; for there is none like You, and there is no God besides You, according to all that we have heard with our ears…that Your name may be magnified forever….” (2 Samuel 7:22, 26). I invite you to give your heart to Jesus Christ. When you do, then you can, “Make sure that your character is free from the love of money, being content with what you have; for He Himself has said, ‘I will never desert you, nor will I ever forsake you’” (Hebrews 13:5).